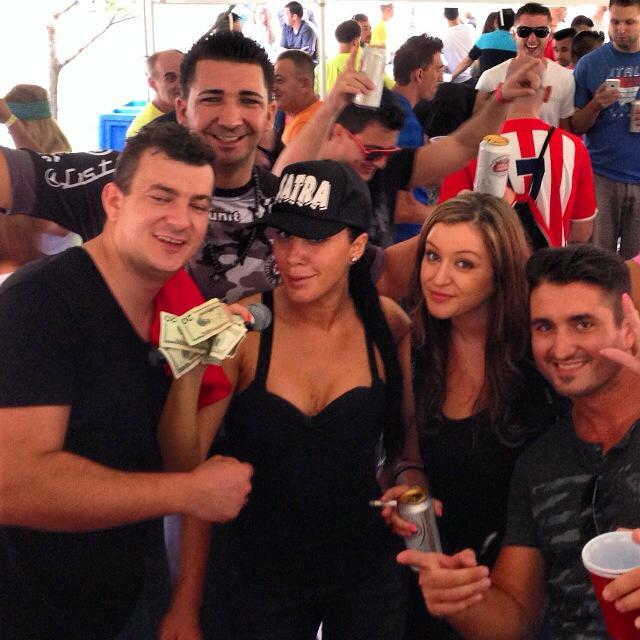 This year’s Srbijada was what one might call “standard SUCCESSFUL Serbian operating procedure.” A celebration of tradition, culture, and of course — plenty of partying and good times. Naturally, a Serbian event like this couldn’t go without some brawling, but we’ll forgive the perpetrators this time. A highlight? 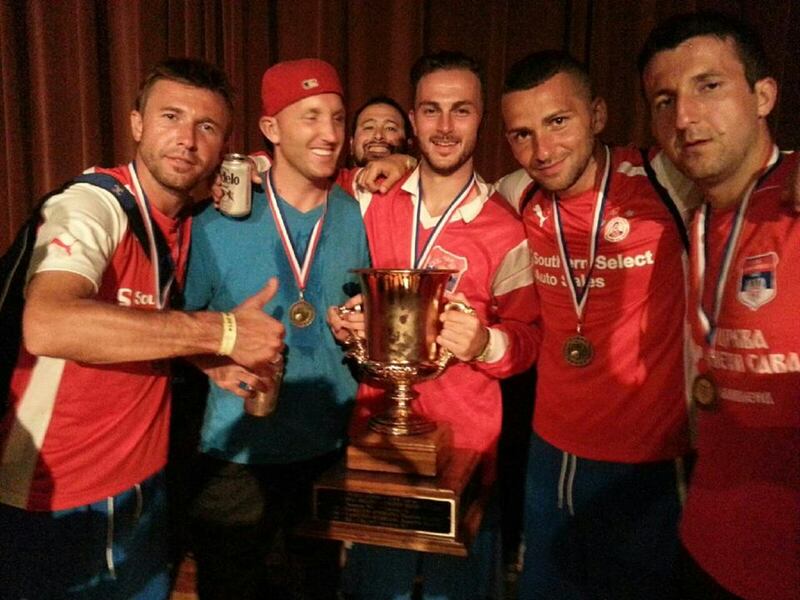 The victors of the soccer tournament, SSK Karadjordje from Cleveland, Ohio, jumping into the Milwaukee River following the party to celebrate their victory and 2014 Srbijada trophy. The real prize you may ask? Nothing but pride. 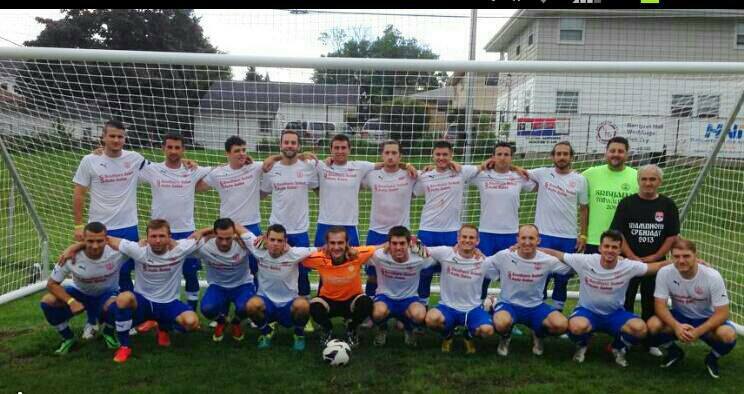 The defending champs successfully seized their title as Srbijada Champions for the second year in a row. The celebratory after party took place at “Buckheads Saloon,” which is located in downtown Milwaukee and lives up to its name (likely patroned by hunters, sportsmen and the like during the regular downtown Milwaukee business hours). Decorated with hunting trophies in the form of wild game heads, this cabin-esque locale was transformed for three days (by Brane, Aco, Goran V, Impusle Bend) into the Serb epicenter of narodna, zabavna and rock (a personal fave was”Vozi me na Pale” — played multiple times) — in other words, the place to be for a good time. Back at the church, in the hall and under the music tent, singers “Aja Dollar” (known only by her alias on Facebook and Instagram) and Mirjana Negovanovic performed under a confetti of dollars being tossed around as they would in a Vegas casino. Dressed as only two narodne singers would be, these two stole the show away from the bandmates who accompanied them. Nevertheless, the blare of the Serbian hits they covered could be heard far and wide, particularly next to the main soccer field, under the tent and inside the main hall of Serb Center. For those craving a one-of-a-kind meal, the highlight of the menu was roasted bull, with all of the usual — and delicious — Serbian accoutrements available as options as well: cevapi, sarma, gibanica. The most memorable takeaway from the event was the actual church and the grounds of Sv. Sava. The internal walls of the church are covered with a blue mosaic that seems as if it was pulled straight out of ancient Constantinople. At the grounds entrance, one is greeted by an Orthodox cross and majestic fountain. Then, of course, there’s a statue of the bust of General Draza Mihailovic, who was decorated with the Legion of Merit, the highest medal that can be awarded to non U.S. military personal. Inside Serbian Center is a Serbian elementary school and a gymnasium where the events are held. 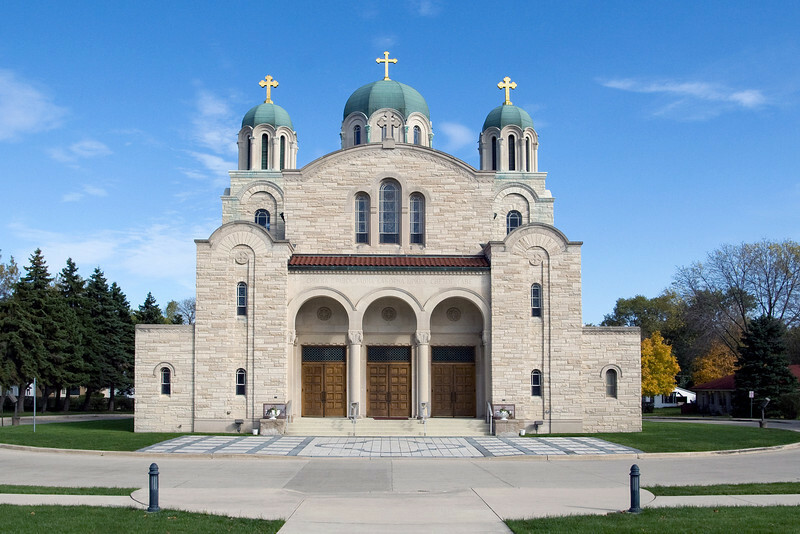 The Milwaukee Serbian church organization has very impressively galvanized the Serbian community, and this church they’ve built is just one testament to that fact. We look forward to the next Srbijada, whether it is held as planned in Vancouver, Canada or elsewhere. Word on the pijaca is that SSK Karadjordje of Cleveland, Ohio is offering to pay $50,000 to the potential Vancouver hosts to have the event moved to their soil. Wherever it may be, one thing’s for sure — Serbs don’t just do it well, they do it right.